Gosh this week has been crazy! I feel behind and ahead all at the same time. Mostly behind, but hey you can’t win em all right? 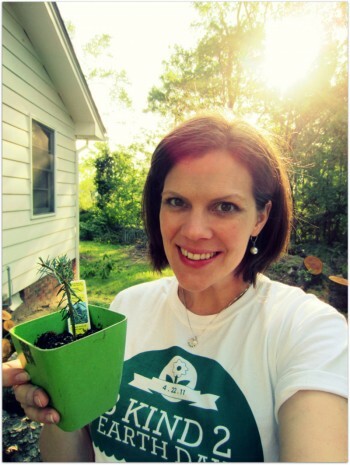 So Earth Day was last week and I was one of the North Carolina Ambassadors for the B Kind 2 Earth Day program through The Motherhood! The idea was to do something good for the earth and see how many other people we could get involved! My initial pledge was to pick up trash in our neighborhood, but after our area was hit hard by a tornado, we decided that we would plant a tree instead. We lost 3 trees in the storm so it was a start! 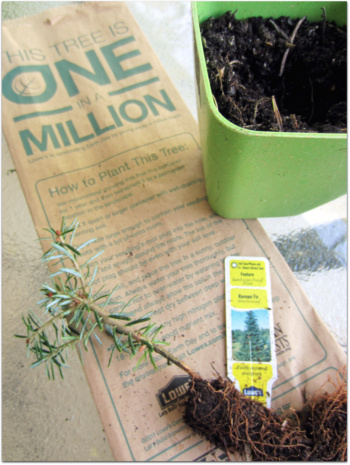 We heard of the One Million Trees program from Lowe’s stores and decided to kill 2 birds with one stone…so to speak. I promise no birds were killed in this process! 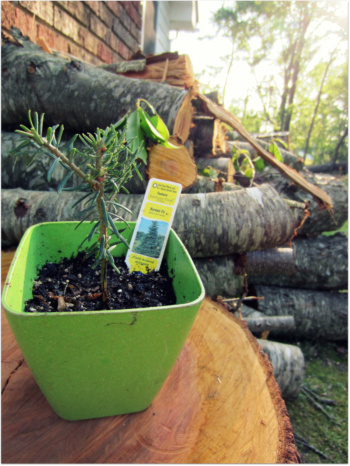 I had to giggle when I went to pick up my tree and I was handed this teeny tiny sapling! We got a Korean fir and one day it will be magnificent! Since we are planning to be in this home for many years to come, I look forward to watching it grow. We have to pot the tree for the first year to help it get established. I have it sitting in the sunshine on the remains of one of our felled trees. Kind of emotional, no? I just hope we can give it what it needs to grow big and strong and at least to the 6 of the 6-10 feet the tag promises. Did you do anything for Earth Day? I’d love to hear about it! We are picking our tree up tomorrow! Sort of late, but better late than never!